In light of the commercial construction frenzy that began in 2010, standing out in CRE development in Nashville is harder than it was four years ago. 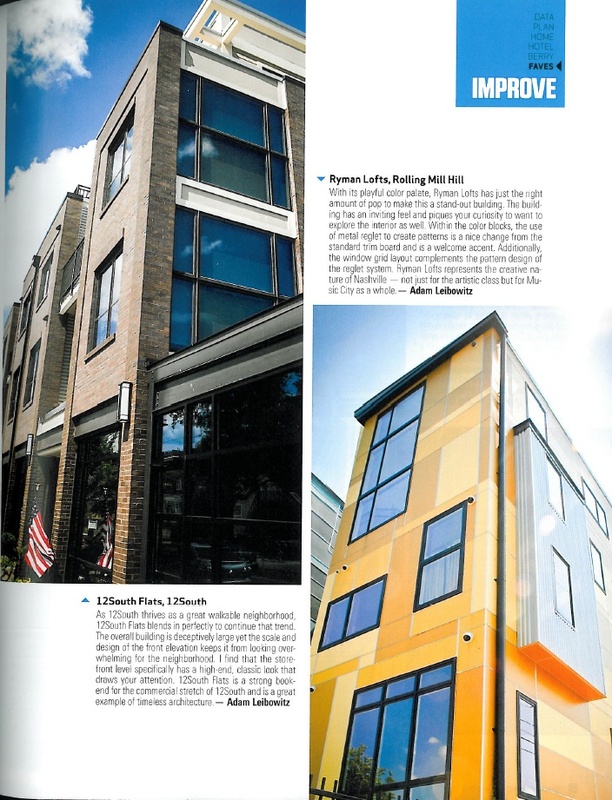 Consequently, at Southeast Venture, we never take it for granted when our peers recognize one of our developments as a favorite building in Nashville. 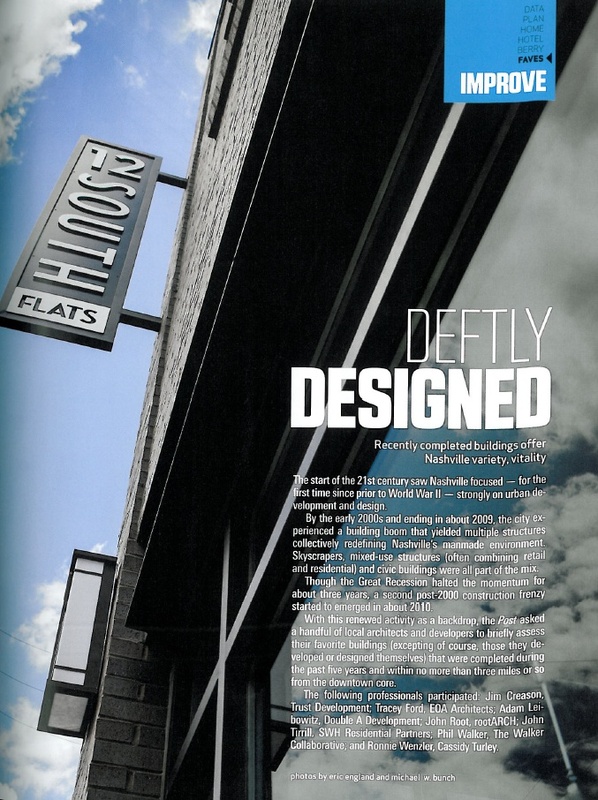 The “Deftly Designed” article in Nashville Post magazine’s latest “Boom” issue is an ode to structures built during the building boom that represent the city’s trend towards urban design. 12South Flats, which we developed in a 50|50 partnership with H.G. Hill Realty Co. in 2013, was among the favorite buildings chosen by local architects and developers. This entry was posted in Development and tagged 12South Flats, commercial real estate, development, multifamily, Nashville, Nashville Post. Bookmark the permalink.